High cost prescription drugs: The right choice for you? New, very expensive prescription drugs that treat a range of conditions from hepatitis C, leukemia, and cystic fibrosis to multiple sclerosis and rare inherited conditions like Wilson’s disease and hereditary angioedema have been one of the drivers of increasing health care costs in the U.S. These prescription drugs can cost from $54,000 to more than $100,000 per year. Even with good health insurance, the out-of-pocket costs for these medications can be unmanageable, especially for people with high deductible health plans. In some cases, these medications offer benefits, such as slowing the progression of the disease, causing fewer or less severe side effects, or bringing symptoms under better control for improved quality of life, that other medications cannot. But in other cases, doctors are prescribing expensive new medications without first trying older, less costly drugs that have been clinically proven to be equally effective. Some of these prescriptions are driven by patients who see pharmaceutical ads and come to their doctor requesting the new drugs. In other cases, physicians aren’t up-to-date on how the new medications compare with the older ones and assume that the newer, more costly prescription drugs are a better option. For example, for the treatment of the wet age-related macular degeneration, an eye disease that can lead to loss of sight, there are three commonly prescribed medications. One, Avastin, costs about $50 for each monthly treatment. 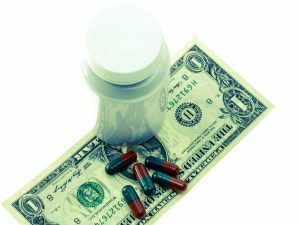 Two newer drugs, Lucentis and Eylea, cost nearly $2,000 per treatment, yet many doctors choose the more expensive drugs as first line treatment. For pain caused by diabetic neuropathy, a study by researchers at the Mayo Clinic found that less expensive generic medications worked almost as well as the newer, more expensive medications Lyrica and Cymbalta. Why was this medication your first choice? What are the benefits, risks, and side effects of the medication? Are there other medications we could try first? Are there clinical studies that show that the more expensive medication is more effective or better tolerated than older medications? If you or a family member had my condition, which medication would you choose and why? Will I need to take this medication long term? If so, are there any programs that could provide financial help with the cost of the medication? It may also be helpful to get a second opinion from another doctor and learn more about any clinical studies that compare the more costly prescription medications with less expensive options. A health advisor can help you find a specialist for a second opinion and provide information from clinical studies explained in layman’s terms to help you make an informed decision about your treatment plan.